Modern agricultural practices have led to ever-increasing amounts of chemicals being used on our food, and whether we’re talking about pesticides , herbicides  or fungicides , most have deleterious effects on health. Atrazine, the second most commonly used herbicide in the U.S. after glyphosate, has been linked to many disturbing health effects. Despite that, it has not received nearly the same public attention glyphosate  has. A recent KCET story  with focus on atrazine notes its effects are in many cases actually worse than glyphosate. If it wasn’t for Roundup, atrazine would probably be the most controversial herbicide on the planet,” Chris Clarke writes. “It’s the pesticide most commonly found as a runoff contaminant in rivers, streams, lakes and wetlands. It’s been linked to reproductive abnormalities in frogs, hormonal changes in alligators, and serious harm to other wildlife populations. And it can even promote fungal diseases in the soil by killing off beneficial fungi while leaving the pathogens. Atrazine is the most common water contaminant in the U.S., where it was initially approved for use in 1958. It’s been banned in Europe since 2005, and groundwater contamination was, in fact, one of the determining factors behind this decision. The evidence [5,6] also suggests atrazine exposure may contribute to a number of different cancers, specifically breast cancer , ovarian cancer, non-Hodgkin’s lymphoma , hairy-cell leukemia and thyroid cancer. Neonicotinoids , pesticides linked to bee die-offs around the world, are another water contaminant Americans have to contend with. Water testing by the U.S. Geological Survey (USGS) in 2015 showed neonicotinoids are present in more than half of all streams tested. Similar findings were recently made in Switzerland by the Swiss Federal Institute of Aquatic Science and Technology. There, watercourses were found to be contaminated with 128 different agricultural chemicals: 61 herbicides, 45 fungicides and 22 insecticides. Now, a team of investigators at the USGS and the University of Iowa report  finding three different neonicotinoids — clothianidin, imidacloprid and thiamethoxam — in all samples of treated drinking water. [9,10] Water treatment facilities simply are not equipped to filter out most pesticides. While the concentrations were quite low, there’s really no telling what the health effects might be, especially when you consider all the other chemical contaminants found in most tap water. Research has shown that even non-toxic ingredients can have toxic effects  when combined. [W]hat we’re realizing … [is] that there’s reason to think that it doesn’t take one chemical to take it all the way from normal to cancer. One chemical can take it part way, another chemical will take it another portion of the way, and maybe a second, third or fourth chemical will take it all the way. Many chemicals simply cannot be filtered out. Pesticides, drugs, radioactive particles and fluoride  are all common water contaminants that are very difficult to effectively remove. That’s despite the agency’s earlier conclusion, reached during the Obama administration, that this pesticide could pose risks to consumers. A federal court had ordered the EPA to decide by midnight on Friday [March 24] whether to ban chlorpyrifos … Patti Goldman, from the environmental group Earth[j]ustice, calls the decision “unconscionable,” and says that her group will fight it in court. On June 6, 2016, the EPA released its most recent risk assessment for atrazine,  which concluded the chemical may cause reproductive harm to mammals, fish and birds, with the level of concern surpassed nearly 200-fold using real-world scenarios for mammals. For fish and birds, atrazine exceeded the level of concern by 62- and 22-fold, respectively. The risk assessment is expected to be finalized sometime this year. Not surprisingly, the pesticide and agriculture industries are up in arms over it. According to the Iowa Corn Growers Association, should the EPA’s report be finalized as written, it would lead to such severe label restrictions that it would “effectively ban the product from most uses”  — which is exactly what the public health needs. The question is whether the EPA will again fold to industry pressure to keep a toxic profit-maker on the market. One EPA official accused of colluding with Monsanto to prevent the truth about Roundup from seeing the light of day is Jess Rowland , former associate director of the EPA’s Office of Pesticide Programs, Health Effects Division. Email correspondence shows Rowland even stopped a glyphosate investigation by the Agency for Toxic Substances and Disease Registry, which is part of the U.S. Department of Health and Human Services, on Monsanto’s behalf. Now, researchers looking at glyphosate’s impact on pregnant women add more fuel to the fire, concluding glyphosate levels in women’s bodies correlate with poor birth outcomes. It seems quite clear that avoiding testing food for glyphosate is putting human health at grave risk. This is a huge issue. This is the first U.S. study to demonstrate glyphosate is present in pregnant women. Everyone should be concerned about this … Is this level of exposure safe or not? We’ve been told it is, but exposures haven’t been measured. It’s mind-boggling. Speaking of women, in related news, researchers have found that when female farmers are in charge of pesticide application, fewer pesticides are used. An estimated 38 percent of farm managers in Cambodia and Laos are women, and under their watch, 42 percent fewer pesticides are used. Other statistics revealed in the study included a 251 percent jump in pesticide use when farmers sought advice from pesticide sellers, and a 45 percent drop when advice was sought from friends and neighbors. This will ensure the filter is capable of significantly reducing atrazine and other pesticides. Most activated carbon filters will meet this requirement and get the job done. Unfortunately, if your water is fluoridated, you’ll need yet another type of filtration to get the fluoride out. For that you need either a reverse osmosis system, a deionizer or activated alumina filter. Lastly, if you know you have been exposed to pesticides, eating fermented foods and/or using a low-EMF infrared sauna  can be helpful, especially if combined with an optimal supplemental detox regimen including binders to catch the toxins that are mobilized from the fats. 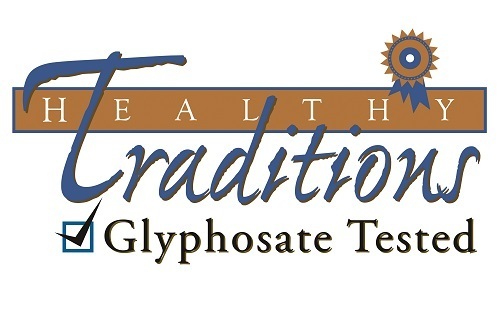 This logo means the product has been tested for the presence of glyphosate. More .